When designing a new kitchen for the EKD showroom, we get the opportunity to be daring, forward-thinking and truly push the boundaries of design. We take note on global influences and craft them into our own vision. Our new showroom expansion is no exception. As we start to knock down the walls, our new displays are starting to come to life and become reality. 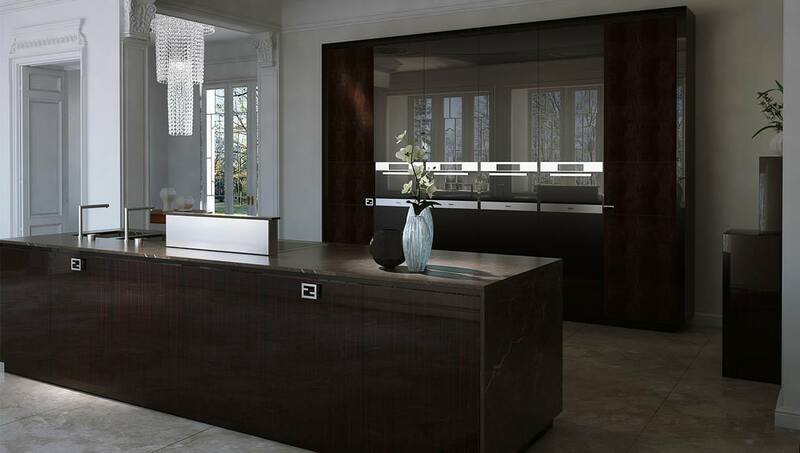 One display in particular – the Milano display – is one we are especially thrilled about. 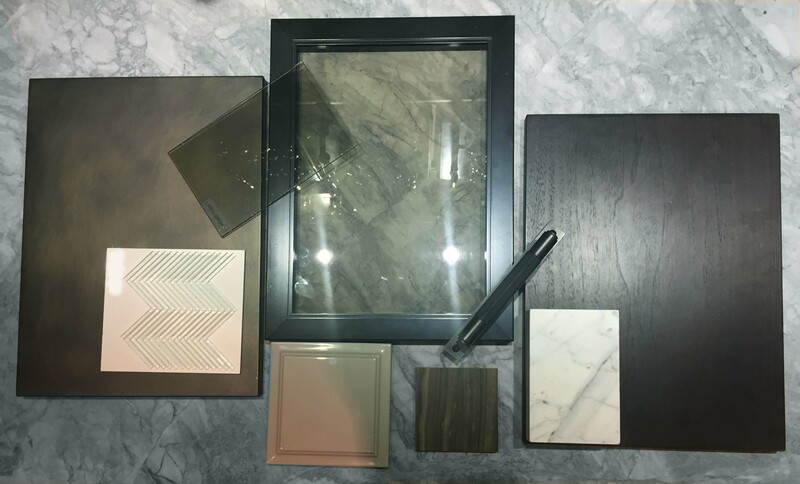 Inspired by Mikal’s trip to Italy and the Fendi Casa collection; Milano will entice with deep, rich and dynamic colors, materials and textures. Many people think of the European style as a very horizontal layout – but Milano is based on its verticality. The journey from inspiration to installation is where the fun begins. The first part of the process comes with the selection of materials. 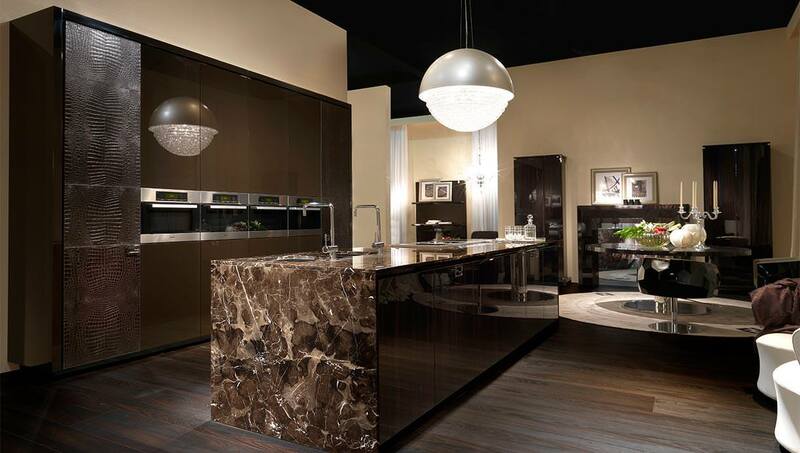 For the Milano display, we chose flat cut walnut with a taupe gloss, calcatta marble and touches of bronze. The combination is ideal for a Colorado space – with a refined and glamorous touch. Once the deliberation over materials has settled, the design begins. 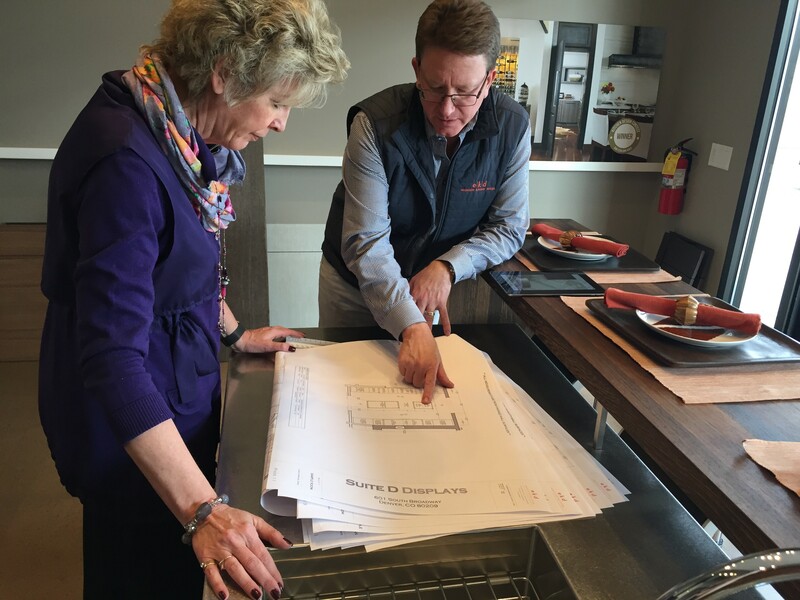 As a kitchen design studio, it can pose more of a challenge than anticipated. How long will it take for the global trends be accepted? At EKD, we love being in the forefront and pushing the boundaries. It’s always great to have other professionals around to work through ideas. Fortunately, we’re friends with some of the best in the business. Long-time friend of EKD, Colleen Johnson with InSite Design offered a helping hand and a second set of eyes. With all eyes and hands on deck, materials are ordered and things begin to take shape. At first glance – the beginning of the process might not appear overly glamourous or complex. However, there is more than meets the eye and nothing is left to chance! From the soffit details, lighting and unseen mechanical, each detail and measurement is on-point and ready for the work to begin! Stay tuned and make sure you follow us on Facebook and Instagram for updates and photos as the process moves along!